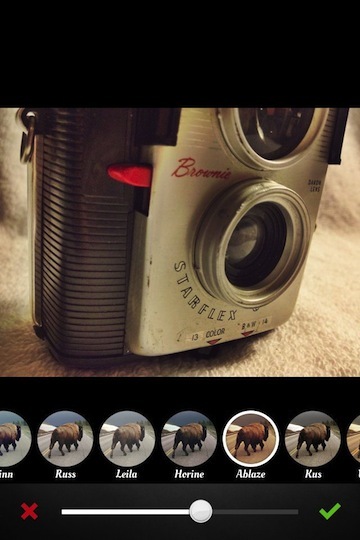 “Just another photo filter app” drives me crazy. I pay for and use everything I review here so when I find someone’s creative marketing was just a wrapper for the standard set of filters, I’m not a happy user. So, I went into AfterGlow a bit slowly. On the surface, the developer’s mentions of 34 Filters, 23 Textures, and 13 Frames put it right in the middle of the many other options. But, I found people talking about the filters and frames being adjustable. 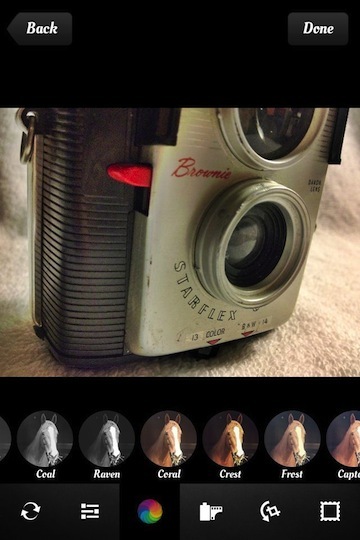 Nice… that is something I have mentioned before as being missing from the major iPhone Photo Editing apps. 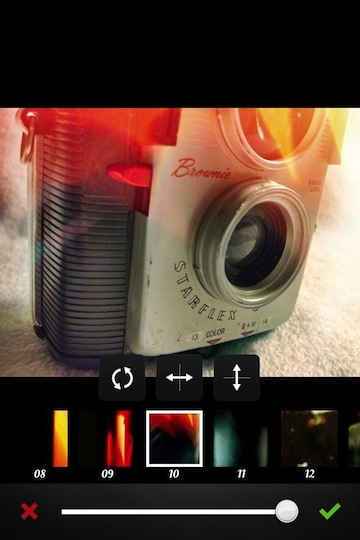 The AfterGlow filters are divided into two groups, the Original Filters that the app developers have created and Guest Filters provided by others. 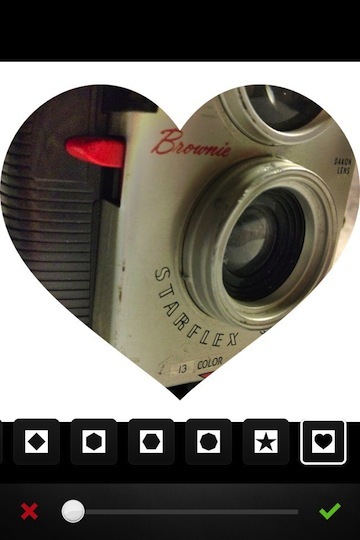 The Original Filter group consists of 21 filters, many of which you will notice are similar to other apps. Notice that the image representing the filter is not a small image of your photo with the filter applied, like you may see in other apps. Each of the filters can be adjusted for strength though! Choosing the AfterGlow Guest Filters option (currently 15 filters) gives you a similar row of filters to use. These are a growing group of filters created by users of the app and are included at no extra charge. Notice the slider? Yes, you can adjust the strength of the filter effect added to your photo. No longer are you having to apply all or nothing. A selection of light flares and textures are available to apply. Notice in the screen shot below how AfterGlow doesn’t force you to use the light as a set filter. Instead, you can resize, move, flip, and rotate… as well adjust the strength. I was just using another app earlier today applying a bit of light to a photo and not happy with how the developer had it set, AfterGlow is letting me tune the effect to match the photo’s needs. Framing a photo with AfterGlow isn’t the usual little frame around an image that is basically a boarder. Instead, the majority of the ‘frames’ are actually cut outs. You can drag the photo around to get it aligned within the opening and adjust the size of the cut out with the slider. After playing for a day, I’m pretty happy with the money spent on AfterGlow.